As you sit and read this, there are distillers all around Australia planning big things for your next Martini. I’m reliably told that in the pipeline are at least a dozen new gins heading to the market this year in Australia alone. I think there are two main drivers for this: one is economic, if you’re making, say, single malt whisky then you have to wait several years for a return on your investment. 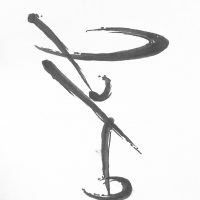 So why not branch out into other spirits in the meanwhile and generate a return? The other is the opening up of an enthusiastic market for Australian gins locally and overseas that still has a way to go before we get to in my opinion. So one of the newest to come along in 2015 hails from a beautiful part of Victoria, South Gippsland, just east of Melbourne, Loch Brewery and Distillery. Unlike many of the current crop of Australian gins, Loch Distillery’s Craig Johnson and Mel Davies have taken a more classic approach to create an English Dry Gin style rather than emphasising bush native botanicals, but still drawing inspiration from the local region and their garden. Craig has excellent distilling credentials by virtue of having spent time alongside the legendary Bill Lark from Tasmania. 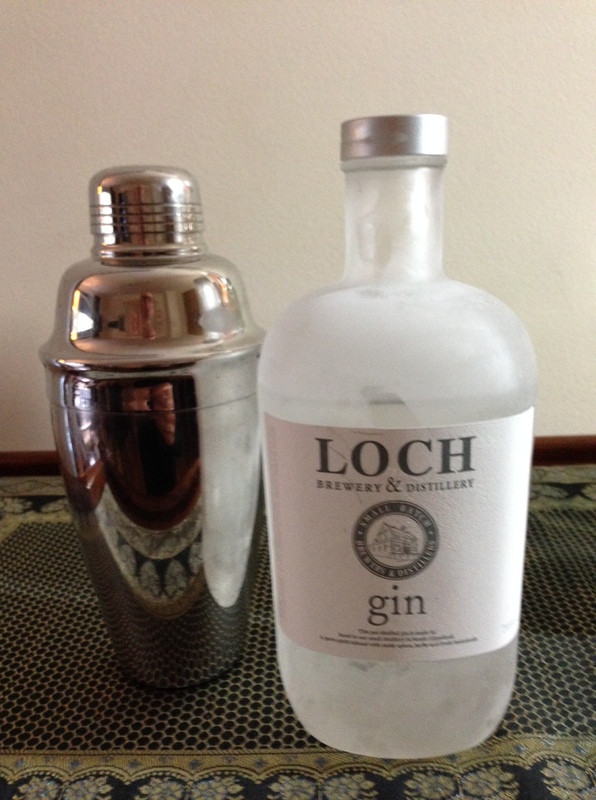 What inspired Loch Distillery to create a gin? There is great diversity in Gin and it is more complex than people give it credit for. We were particularly keen to try and make a gin that was easy to drink neat as well as mixed, we think this comes from our enjoyment of whisky. How hard was it to settle on a final version in the choice of botanicals? We undertook many trial batches before we were happy with the final product, the choice of botanical blends can be endless. We are using very traditional Gin botanicals, all of which we hand grind with a mortar & pestle. Some of the fresh botanicals we pick seasonally from our own garden when they are available. We have intentionally steered away from Australian natives to keep our Gin close to a traditional recipe, – just like our Ales and Single Malt Whisky. How do you recommend people enjoy the spirit? Try it neat first, perhaps with a little ice. We are serving our Gin by the glass at our cellar door mixed with hand made Sinkonah Tonic syrup, brewed from Sinkonah bark, juniper, citrus and other lovely spices. To this we add soda and a slice of lemon from our garden, much less sugar and no preservatives, it has a pretty pink blush and a lovely foaming head. The finish is long and refreshing with a slight bittering from the tonic syrup. What do think of the craft spirit scene in Australia currently? The expanding depth in both quality and quantity across a range of spirit production in Australia has the industry standing right up there with the rest of the world. This, along with some fantastic outlets showcasing Australian spirits and good level of consumer interest makes for exiting times! Excise still remains a barrier for distillers. Can you share something of the distilling process? All of our stills are hand beaten Alembic Copper Pot stills. These are very old fashioned stills that pre-date many newer designs used today. We run a single distillation which involves steeping the botanicals for varying times before the single pass. 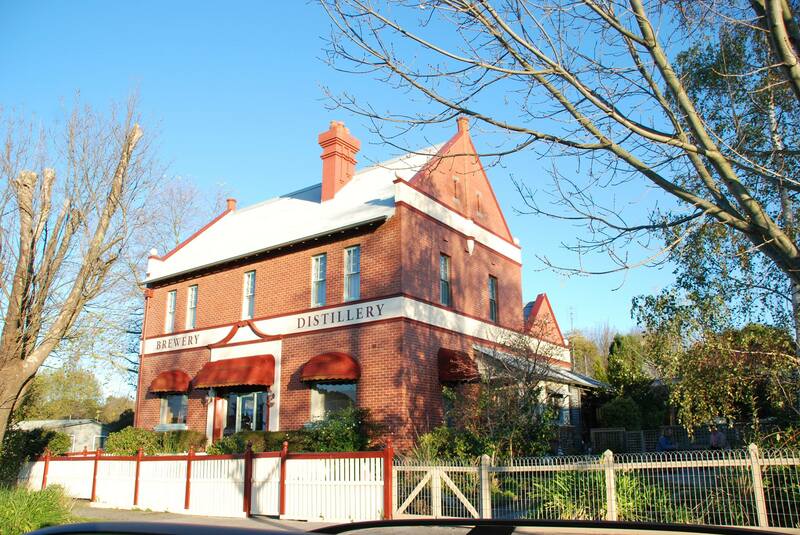 The lovely Loch Brewery + Distillery is located in south Gippsland in Victoria. The small batch pot distilled Gin uses an array of hand ground botanicals. While the heart of the Gin remains constant, batches throughout the year will have subtle seasonal variation as different botanicals become available from their garden. They use Alembic Copper Pot Stills made in Portugal by a company that specialises in hand beaten pot stills. Neat- slightly chilled: this offers a soft feel on the palette with a pleasing restrained approach to the botanicals. It tastes rounded, not astringent with some spiciness from the juniper forward. Martini- this expression lends itself to an excellent cocktail that you can find will work well in the full spectrum of styles, vermouths and garnishes. I appreciated its refinement, softness on the palette and the fact that one or more botanicals didn’t dominate the cocktail. If you enjoy the Plymouth and Tanqueray style of gins,then you’ll really appreciate this one. A very welcome addition to the spectrum of Australian gins now available. Opting for a classic approach, whilst still being inspired locally, this gin offers an refined and versatile spirit. Disclaimer: This review was the result of an unsolicited sample bottle provided by the distillery.